The technology of thermochemical strengthening of widely using low-alloyed steels 50HG, 50HF, and 50 HGF by carbides is proposed. The technology provides the self-sharpening of cutting tools during the organic material processing and consists in its saturation by the cementite followed by heat treating as the hardening with medium-temperature tempering. The influence of cementite particles on wear resistance of the cemented layers was investigated. It is shown that alloyed cementite can be applied to surface hardening of the details of tillage machines and tools for organic materials cutting. 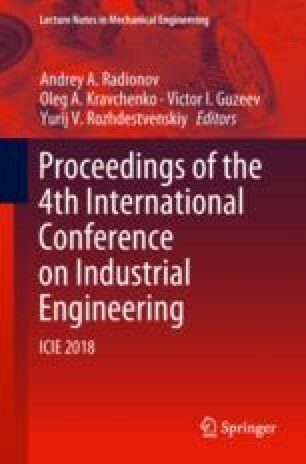 This work was carried out during the execution of the Russian President’s grant for state support of young Russian scientists PhD “Theoretical and experimental research of thermal processes occurring in the processing of the bevel gears” No. 14.Z56.17.107-MK.